Lower Right: Attendees at the Colorado Supreme Court Pro Bono Recognition Ceremony and Reception. On April 13, the Colorado Supreme Court recognized those law firms, solo practitioners, in-house counsel and government groups that achieved their goal of providing 50 hours of pro bono legal services in a given year. Justice William Hood III and CBA Outstanding Young Lawyer of the Year Clarissa M. Collier spoke on the importance of pro bono work in facilitating access to justice. Left: Jeremy Schupbach, Patricia Jarzobski and Patrick Flaherty. 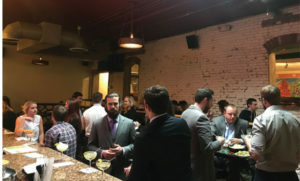 On May 9, the CBA Litigation Section and the DBA Bench-Bar Committee hosted a reception for members of the Litigation Section, the Solo Small Firm Section and the DBA Bench-Bar Committee at the Broadway Club in Denver. Welcome remarks were made by CBA President Patricia Jarzobski and CBA/DBA Executive Director Patrick Flaherty. The complimentary networking event attracted approximately 100 attendees and featured refreshments and door prizes in a location offering stunning views of the Front Range and Coors Field. 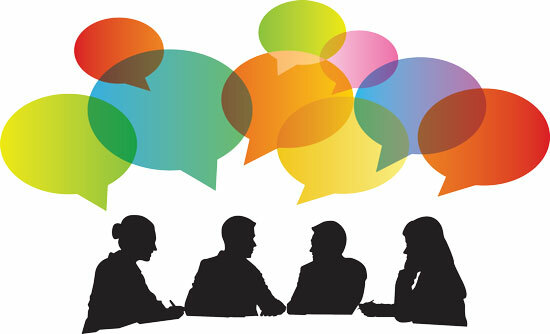 On April 20, the DBA YLD hosted its monthly Barristers After Hours at Rio Grande. Attendees enjoyed complimentary drinks and appetizers while speaking with local attorneys Jean E. Smith Gonnell of Messner Reeves LLP and Kevin Cheney of Cheney Galluzzi Howard about the future of cannabis law in Colorado. 1. CTLA President Michael Rosenberg (far right) thanks W. Harold (Sonny) Flowers, Jr. and Carrie Frank by presenting them with the Outstanding Service to CTLA Award. 2. New Trial Lawyer of the Year Award recipient Jason Jordan recognizes his family and colleagues for their support. 3. CTLA President Michael Rosenberg (center) stands with Case of the Year Award winners Arash Jahanian, Siddhartha Rathod, Qusair Mohamedbhai and Andrea Mohamedbhai. 4. Kenneth Norman Kripke Lifetime Achievement Award honoree Saul Sarney discusses what it means to be a trial attorney. 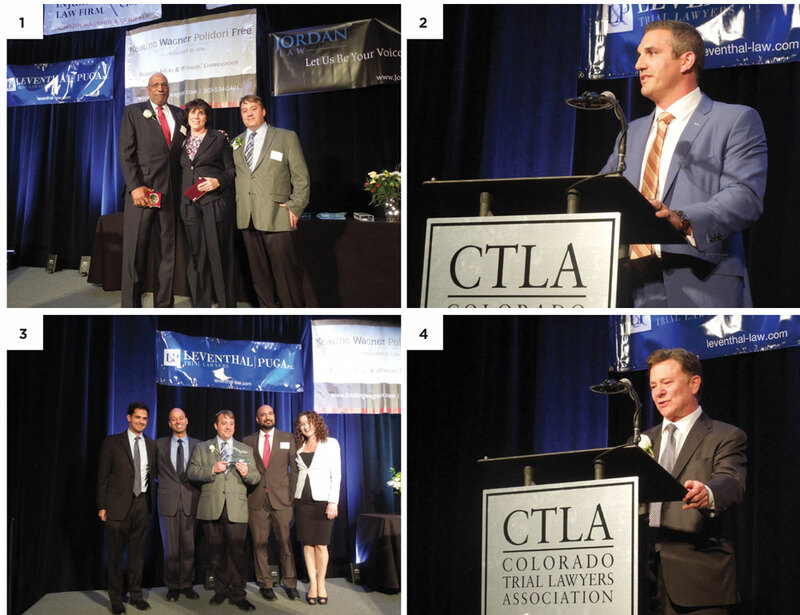 The Colorado Trial Lawyers Association (CTLA) hosted its 20th Annual Spring Dinner on May 11 at the Denver Marriott City Center. CTLA honored Saul Sarney of The Law Firm of Saul R. Sarney, P.C. with the Lifetime Achievement Award. The association also recognized Jason Jordan of Jordan Law with the New Trial Lawyer of the Year Award; Carrie Frank of Klein | Frank, P.C. and W. Harold (Sonny) Flowers, Jr. of Hurth, Sisk & Blakemore LLP with the Outstanding Service to CTLA Award; the Honorable Morgan Carroll with the Access to Justice Award; and Keith Fuicelli of Fuicelli & Lee, PC with the Consumer Protection Award. CTLA presented the Case of the Year Award to Qusair Mohamedbhai, Siddhartha Rathod, Andrea Mohamedbhai and Arash Jahanian of Rathod | Mohamedbhai LLC for their work on EEOC v. Vail Run Resort Community Association, Inc.